The ham kind of gets all of the attention at Easter but really, isn’t it the dessert we all look forward to? I mean, it’s the first holiday where we get to celebrate spring’s light, fresh flavors! Out with the dark, heavy baked goods of winter and in with the light, lemony goodness of spring. That’s why we love a gorgeous Easter cake — especially one that’s easy for the kids to help make. It’s getting close to Easter and no one has time to spend hours searching for the perfect kid-friendly recipe on Pinterest so we did the heavy lifting for you and scoured the internet to find the 12 most gorgeous cakes that aren’t too difficult for tiny helping hands. There’s no need for fancy piping or frosting skills here — these cakes are messy, tasty and beautiful. The naked cake trend makes it easy for even the littlest of littles to help create a stunning Easter cake. 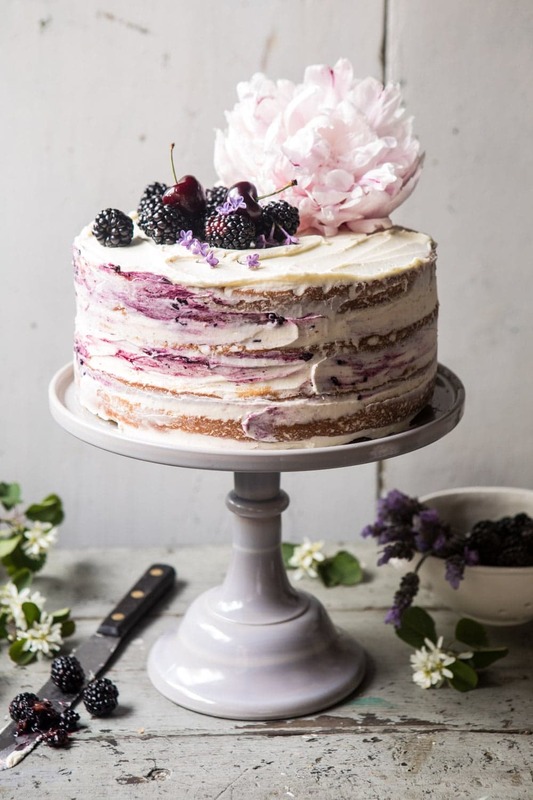 This blackberry-lavender naked cake features rich white chocolate buttercream and blackberry-lavender jam between layers of moist white cake. It’s not Easter (or any holiday, really) without a solid peanut butter-chocolate option. 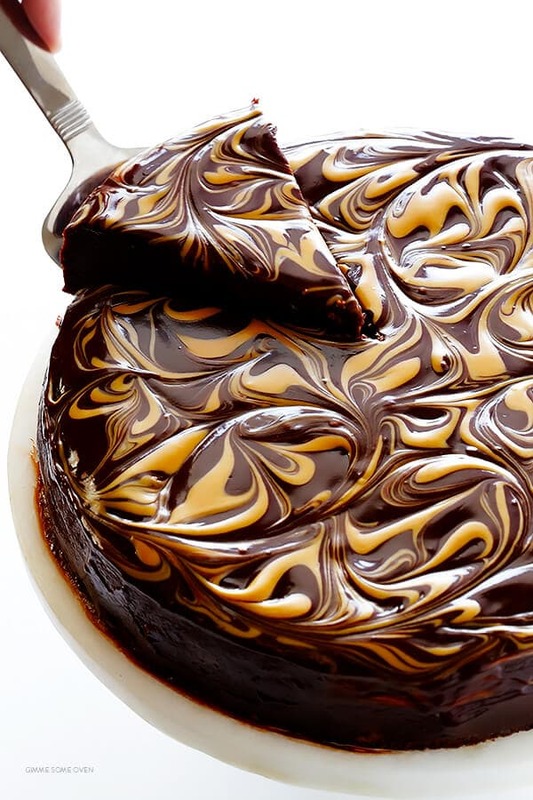 This flourless peanut butter-chocolate cake has only five ingredients and is topped with a deceptively simple swirl of chocolate and peanut butter ganache. When baking with kids, you can’t go wrong with a recipe that has “mess” in the title. 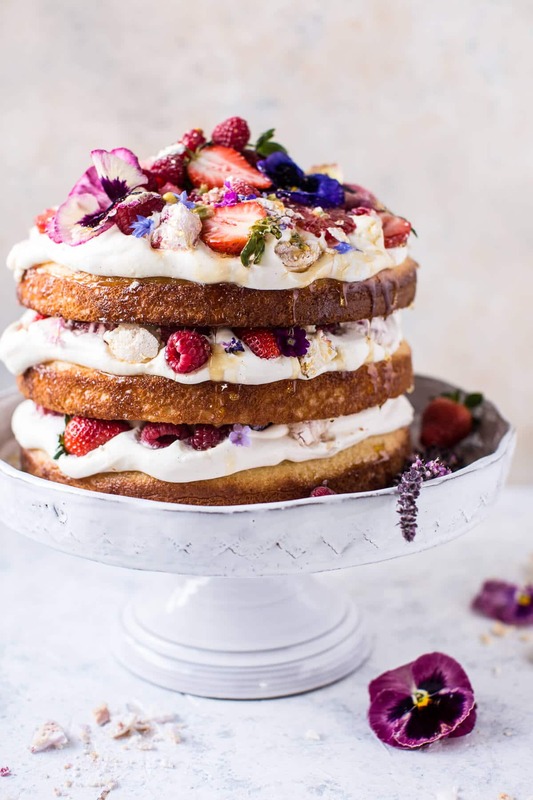 The coconut cakes are layered with a schmear of lightly sweetened whipped ricotta cream and fresh fruit and topped with optional edible spring flowers. A Southern staple confection, the hummingbird cake gets a naked make-under in this recipe. 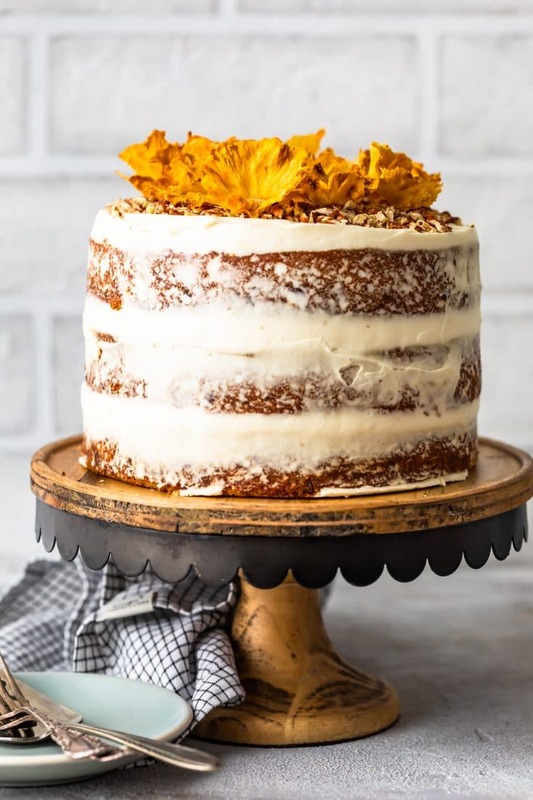 Alternating layers of spiced pineapple-banana cake and cream cheese frosting are topped with homemade oven-dried pineapple flowers for an Easter-worthy spin. Layers of rich, sour cream-infused white cake are frosted with vanilla buttercream and topped with a “nest” of toasted sweetened coconut and chocolate mini-eggs. 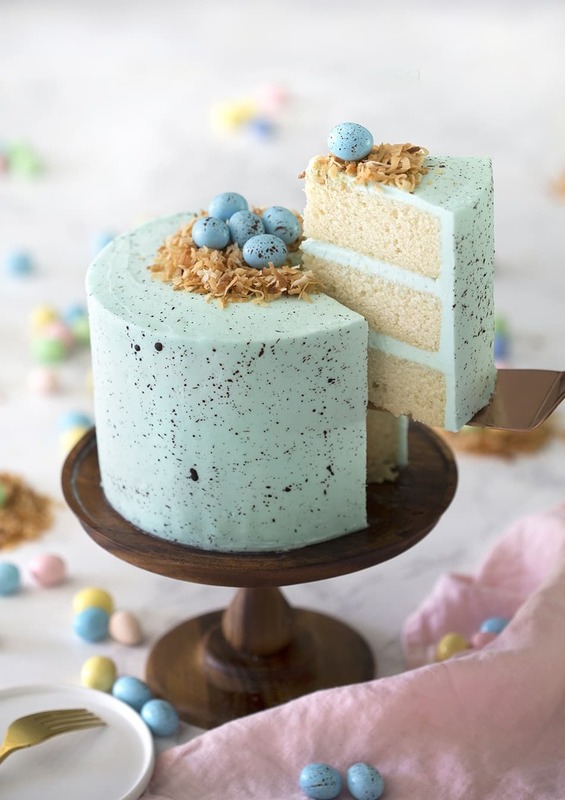 The splatter effect on this robin’s egg-themed Easter cake makes the outcome a little more forgiving if you or the kiddos can’t accomplish a perfectly smooth frost. 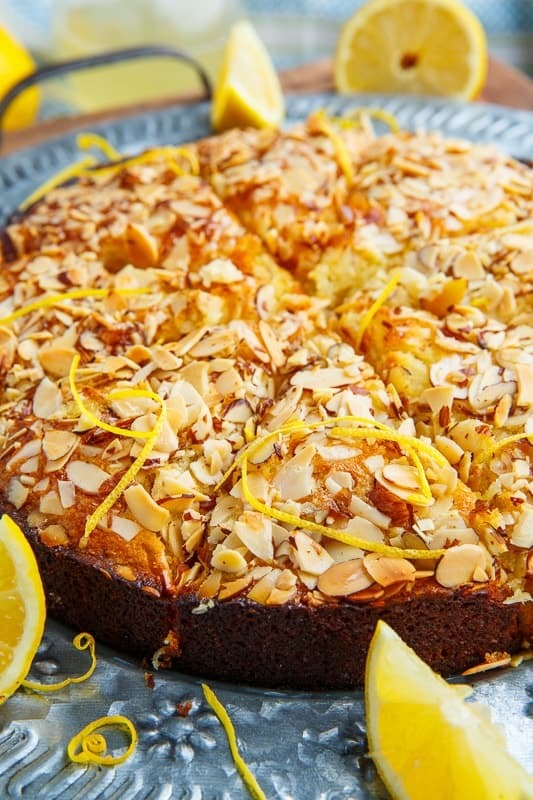 If you’re looking for something with a little less frosting without sacrificing a striking presentation, this lemon-almond cake is just what the Easter Bunny ordered. The secret weapon is the lemon simple syrup, which adds extra tang and sweetness to the tender lemon-flavored cake. Top it with slivered almonds and lemon zest and serve it with a mug of piping-hot tea. This may look like a traditional carrot cake, but it’s hiding a tangy surprise in the form of a cheesecake filling. Top it with a rustic-looking spread of coconut cream and garnish it with toasted coconut. 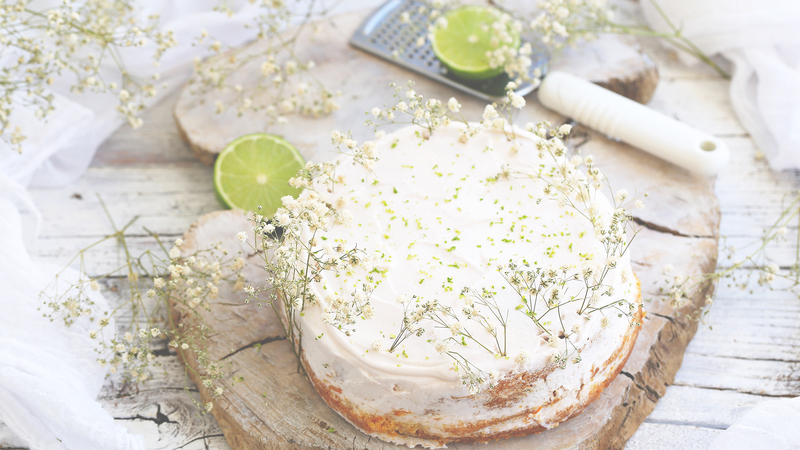 Edible flowers are optional but definitely give the cake that extra-special Easter touch. Trifles, which are basically deconstructed cakes made into a parfait, make it incredibly easy for the littlest ones to build something beautiful. Plus, if you buy a store-bought angel food cake, it’s a no-bake recipe. 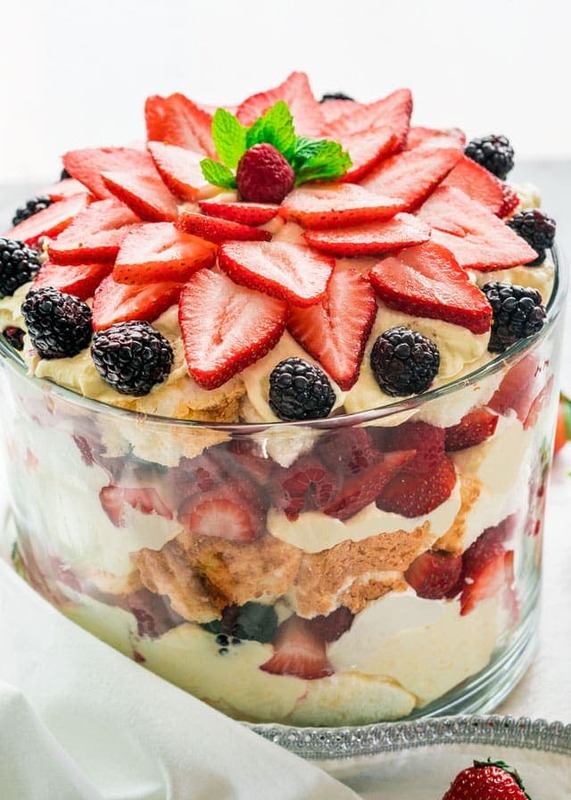 Just let the kids layer cubes of angel cake, fresh berries and vanilla pudding and cream cheese custard in a trifle bowl. When they get to the top, help them arrange the fruit in a pretty pattern. This can also be done in parfait glasses for individual servings. Image: Your Cup of Cake. 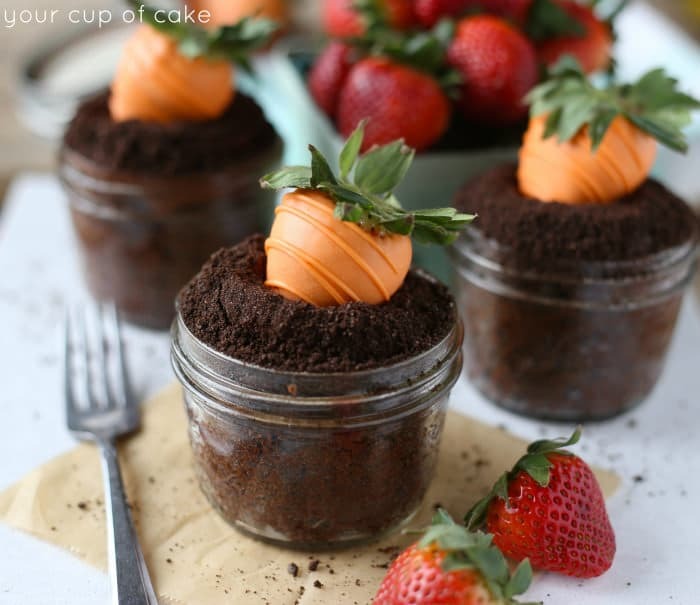 These whimsical cupcakes are baked right in a mini Mason jar and frosted with cocoa powder-infused chocolate frosting to give that soil affect. After you press in the orange chocolate-covered strawberries, serve these garden-fresh cupcakes with a fork. 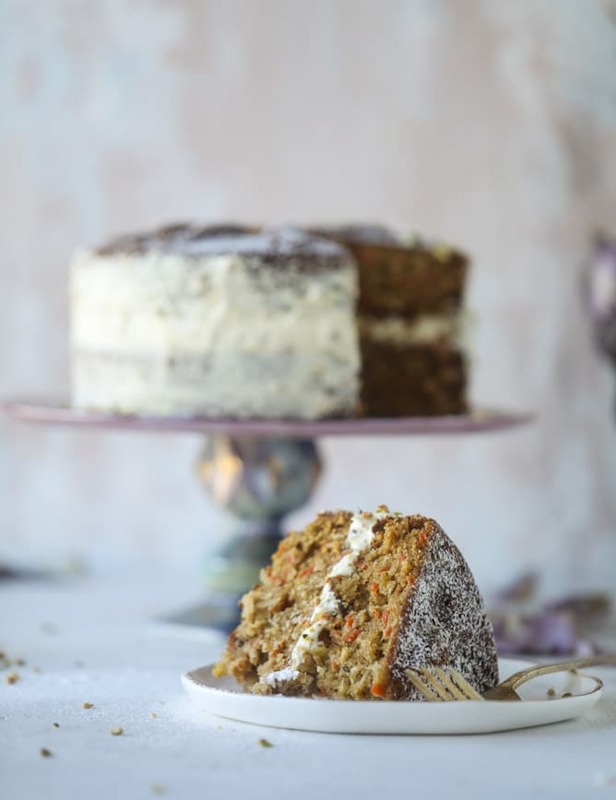 This naked carrot cake skips the traditional walnuts or pecans in favor of roasted pistachios and has just a hint of pistachio-cream cheese frosting. You can make extra frosting to spread over the top, but we like the angel-dusted look of the powdered sugar. 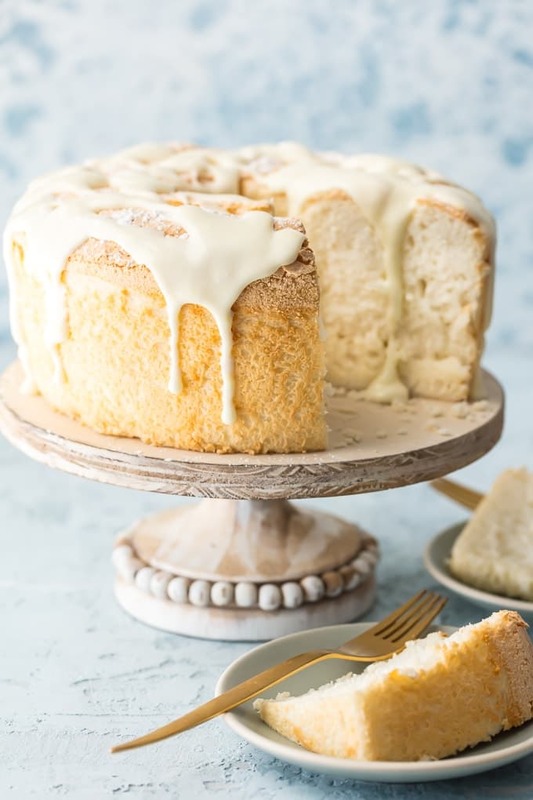 Light and airy angel food cake is a cinch to make when you’ve got a recipe like this. Drizzle it with the lemon-cream cheese glaze and garnish it with lemon zest for a so-simple-it’s-stunning presentation. You can also substitute any citrus fruit for the lemon if you’d like a hint of green or orange instead of yellow. 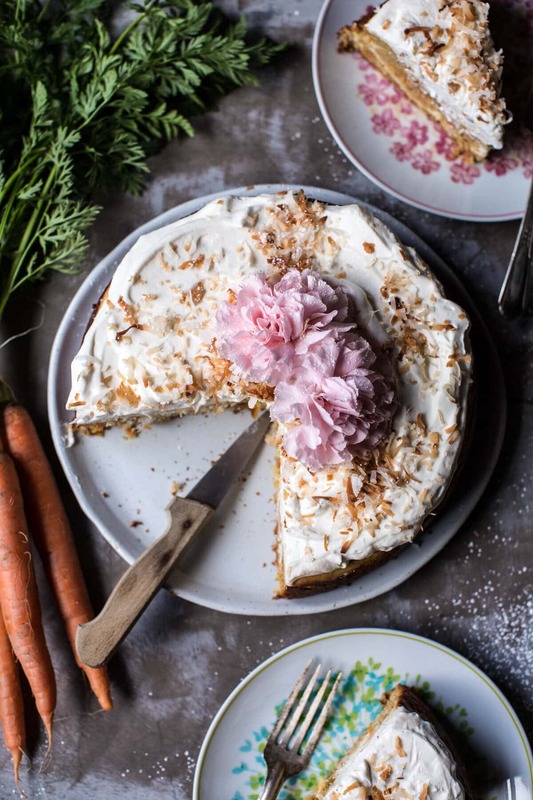 The strawberry mascarpone buttercream used to layer this coconut carrot cake is so decadent, you’ll be glad it’s a naked-style frost. 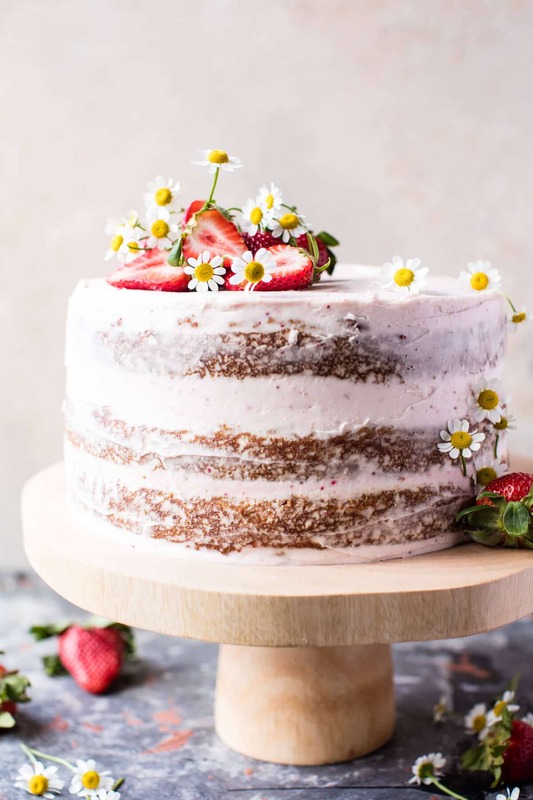 Garnish the cake with fresh sliced strawberries, edible flowers or toasted coconut flakes.